Want to see what exactly makes the Nokia Lumia 900 tick? So were the folks at iSuppli, who got a hold of a unit and gave it a full-fledged teardown treatment. It turns out that the smartphone is made out of about $209 worth of components, or approximately $240 less than what it costs off contract. Also, the teardown reveals that the smartphone relies on tried and tested components, instead of going for the most advanced parts available today. But given how efficient the Windows Phone platform has become, especially after the Tango update, there isn't necessarily anything wrong with that. As a matter of fact, a Windows Phone handset can run perfectly smooth on a single-core Qualcomm processor and with only 512 megabytes of RAM. That keeps manufacturing costs down, which in result allows for companies to offer decent smartphones at competitive prices. For example, the Qualcomm chip inside the Nokia Lumia 900 costs $17 apiece, while a dual-core alternative would run for about $22. Even the Bluetooth chip used in the Lumia 900 is an older, but cheaper by $2.50 model, which goes to show how much effort is being put in making the smartphone as affordable as possible. And in case you are wondering, there is one top-of-the-line component used in the Lumia 900, namely the gyroscope chip, which is used to determine the physical orientation of the device. The chip used is made by ST Microelectronics and is the same one used by Apple for the iPhone 4S. Why cant mobile phones be like pcs with upgradable processors!!!! Because CPU, GPU and other components are integrated inside SoC (system-on-a-chip) and they are the part of the SoC. In other words it is "single piece" and thats mean if you want change CPU, you must change whole SoC which place CPU, GPU and other components inside. And since SoC is one of expensivest part in your phone, financially it is not worth to do that. How cheap... it's a high end comparing to other's! Yea with you'r bisected braise! And the mighty Troll shows his head YET again on a WP7 post... Can we get info on how much it costs in parts for a Galaxy 2, that was twice as much new as this phone? Or some comparative Android, which needs more power to run smoothly. WP7 uses 512mb of ram for the same reason the 4S only uses 512mb of RAm, cause IT CAN! A phone can be made with parts that total $500 dollars, but not perform smoothly. -ALSO- A phone can be made with parts that total $200 dollars, and perform as smooth as silk. As a consumer I prefer option B... Its not WHAT you got, but HOW you use it... besides it's not like Nokia is using "low end" parts... NOKIA is using "HIGH END" PARTS, just not the most expensive options (some of those more expensive options are more susceptible to crashes anyways). Does no one here get it? It's not about what the OS can do (WP7 rocks, sure). 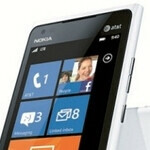 Nokia is scalping users for no apparent benefit of theirs. Nokia is making more twice what it puts into the phone and the users are NOT getting anything unique in terms of hardware. And I suspect they're not doing this because they want the profits, either. They just didn't want people to know that their new "premium" smartphone isn't too much better than their lower-end models.